President Donald Trump has been pushing Mexico to curtail migration. But Mexico’s incoming president has a different approach: to invest in impoverished areas of Central America and southern Mexico so people don’t feel forced to leave. 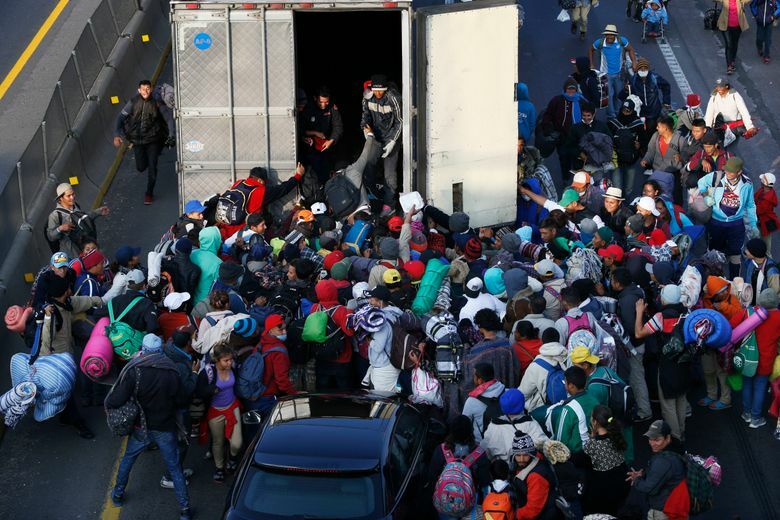 TIJUANA, Mexico — The caravans of Central Americans traveling north through Mexico are the “tip of the iceberg” of a huge and unseen flow of migrants at Mexico’s southern border from Honduras, Guatemala and El Salvador, a high-ranking appointee in the incoming administration of President-elect Andrés Manuel López Obrador said. President Donald Trump, angered by the thousands of Central Americans making their way in large caravans to the U.S. border, has been pushing Mexico to step up enforcement. But Mexico’s incoming president has a different approach: to invest in impoverished areas of Central America and southern Mexico so people don’t feel forced to leave. The caravans have put the spotlight on the rising numbers of Central Americans who flee communities that are beset by poverty and violence. The numbers are reaching levels not seen for more than a decade, said Ernesto Rodríguez Chavez, a migration scholar at the Colegio de la Frontera Norte, a government-funded think tank. His estimates put the annual flow of undocumented crossings from Central America to the United States through Mexico at 350,000 to 400,000. The calculations consider crossings, rather than people, as some individuals may cross more than once. Much of the traffic is out of sight, at night, in smaller numbers, Rodríguez said, to escape the attention of Mexican migration authorities. Many don’t make it to the U.S. border as Mexican authorities detain tens of thousands every year. Still, the hardening of the U.S. border means that growing numbers of Central Americans choose to stay in Mexico. That is a challenge for Mexico’s newly elected president, who has promised to respect human rights and promote social welfare. As he prepares to assume the presidency, López Obrador has said he will offer work permits to Central Americans in Mexico, and is asking for the collaboration of the United States and Canada to invest in southern Mexico and Central America to stem migration. “This is not a problem that can be confronted only with the use of force, with coercive measures; human rights must be guaranteed,” he said last month. López Obrador’s approach of investing in the communities that so many flee “is the right long-term approach to stop out-migration, but it’s unlikely to have much effect in the short-term,” said Andrew Selee, president of the Migration Policy Institute, a Washington-based think tank. Trump has pressed for Mexico to accept a “safe third country agreement” to require asylum-seekers who move through Mexico to apply there rather than the United States, but the incoming Mexican administration has signaled no interest in such an agreement. 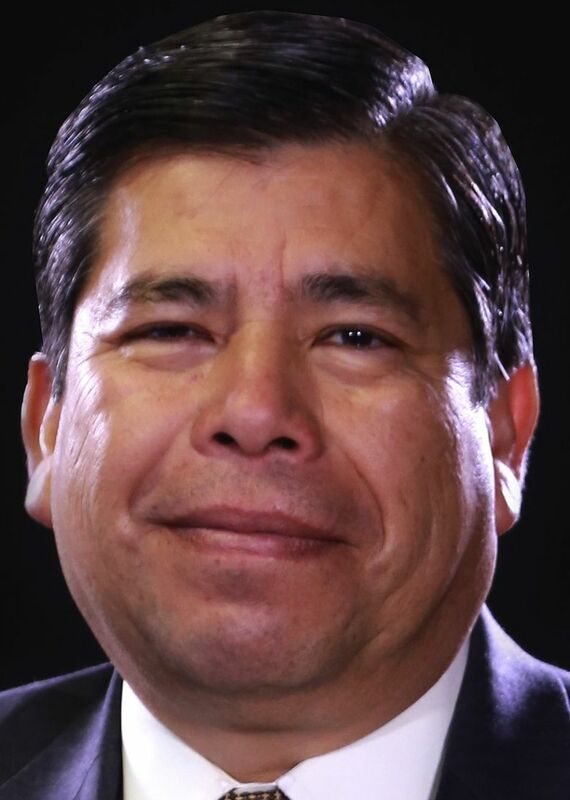 Guillén will be one the few officials involved in crafting and carrying out the incoming administration’s immigration policies. His agency is staffed by 5,800 employees who carry out a wide range of roles, including citizenship services, migrant protection and border enforcement. Guillén, an academic, brings a different profile to an agency whose leadership in recent years has come from intelligence and law-enforcement agencies and has been criticized by human-rights groups and migrant advocates for its opaque bureaucracy that fostered corruption and abuses against migrants.